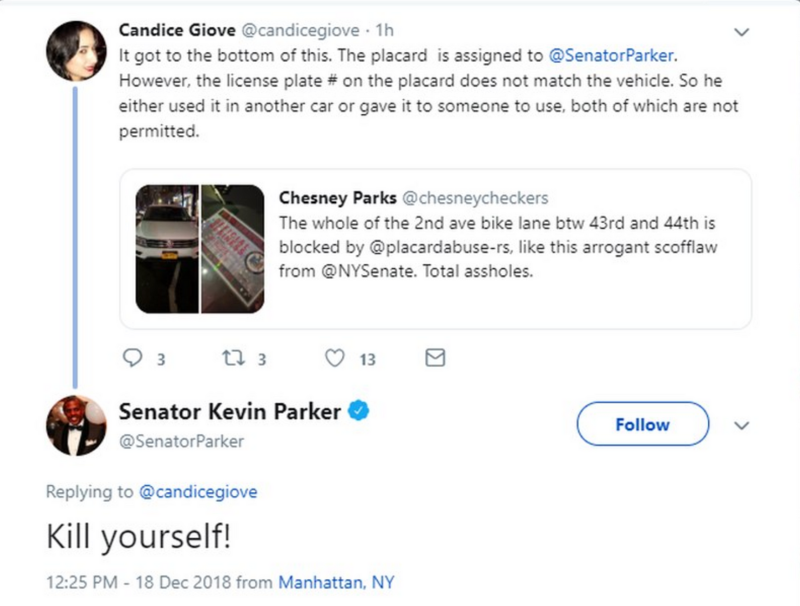 IWV - Democrat Male State Senator Tells Female Republican Staffer to "Kill Yourself"
Democrat Male State Senator Tells Female Republican Staffer to "Kill Yourself"
Democrat State Senator Kevin Parker told a female Republican staffer to "kill yourself" on Twitter, after she sent a message he didn't like. Parker quickly deleted the tweet, but screen shots last forever. He also went on to trash Giove for working for the Senate GOP and, before that, for a group of breakaway Senate Democrats who were aligned with the chamber’s Republicans in a leadership coalition. He ripped Giove for being a spokeswoman for a conference that opposes issues such as strengthening the state’s abortion laws and new gun control regulations. Fair enough if the state lawmaker wants to disagree on policy matters, but telling someone to "go kill yourself" is unacceptable and wrong. It's the kind of callous response that showcases how low things have gotten in todays' political environment. At IWV, we stand for respect and civility -- no matter what opinion someone holds. It's unacceptable for anyone to speak to someone this way -- and Parker should be called out. *Learn more about how to Champion Women here.